Ships, planes and ports: Talking transportation in global trade - WorldCity, Inc.
Getting goods and products from manufacturer to consumer is a complicated business in the global economy, and it’s been made more so by unexpected upheavals, such as Hanjin Shipping Co.’s recent bankruptcy, and this season’s chill political winds blowing against trade agreements. 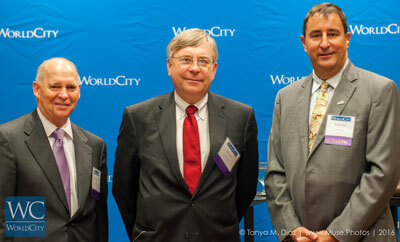 For its Second Annual National Transportation Forum, WorldCity brought together three experts who keep close watch on the fine points of such issues: Erik Autor, president of the National Association of Foreign-Trade Zones; Kurt Nagle, president and CEO for the American Association of Port Authorities; and Warren Jones, director and chief of staff of the International Air Cargo Association. 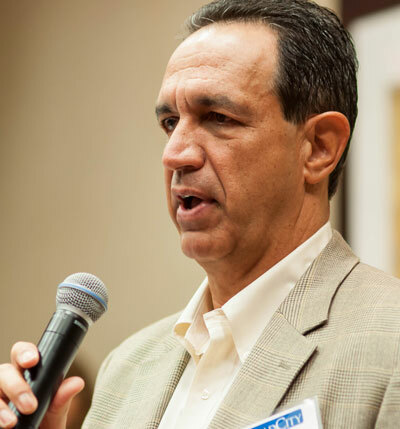 The three were guest panelists at the Trade Connections event, held Oct. 14, 2016, at the Doral Intercontinental. “Oftentimes maritime and aviation don’t get together,” said Ken Roberts, WorldCity CEO, adding that the discussion was designed to bring together the various transport elements that actually make the system function. 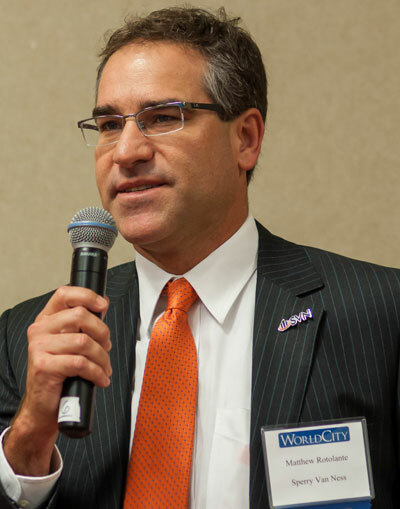 To set the stage for the audience, Roberts went over some of WorldCity’s recently released trade data, which show that for the past three years (ending August 2016), exports were down at Miami International Airport by 20.5 percent; down at Port Everglades by 15.1 percent; and down at PortMiami by 16.3 percent. Meanwhile, for that same period, imports at MIA and Port Everglades fell more than 12 percent, though Port Everglades showed a 9.7 percent increase. While numbers don’t tell the entire story – disruption in the oil and gas industries, and decreased commodity prices underlie some of the data, the numbers did give the audience a backdrop to discuss the dynamism in trade. “Still,” said Roberts, “the 800-pound elephant in the room is the election. In both cases, there is fairly strong anti-trade rhetoric.” Republican nominee Donald Trump wants to reopen NAFTA, and Hillary Clinton has backed off her earlier support of the Trans-Pacific Partnership. For Autor, what gets lost in discussing such agreements is the treatment of Foreign Trade Zones (FTZs), designated areas usually located near U.S. ports or airports, where companies are authorized to make, process and store goods with some advantages on paying duties. Autor said there are more than 300 such zones across the United States, many active in the business of automotive and automotive parts, pharmaceuticals, petroleum and electronics. One priority for his group, Autor said, is parity for FTZs with foreign countries when trade deals are negotiated. The group wants approval, so that “you can make the identical product in Mexico or the FTZ,” Autor said. It’s unlikely, Autor concedes, that Congress would pass such a measure as a stand-alone bill. That change would have to be part of a bigger agreement. “Until the dust settles and we know the makeup of Congress, we can’t predict,” he said. Roberts wondered who might oppose such a provision as it would allow more work to be done in the United States. One answer: unions who have successfully kept luxury automaking – and its high-paying jobs — in the United States, while low-end production is increasingly centered in Mexico. Others who might balk include big companies that have sunk significant investments into Mexico production facilities. Jones spoke for a group that represents airports, airlines, and freight forwarders. “Our main thing is to protect air cargo movement,” he said, noting that the most recent issue members have dealt with is the Samsung Galaxy Note 7. The smartphone’s battery has had the propensity to catch fire. 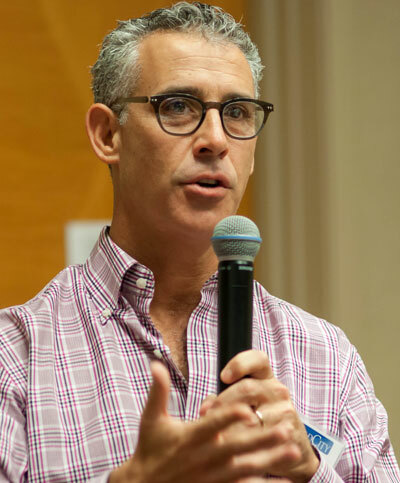 Air cargo is growing, he said, citing as one example that in the last few years, MIA has added three cargo carriers that brought an estimated $400 million impact on the local community. Still, Jones said, the drag on expanding operations is European Union headwinds. The bloc is actively working to control flights in and out of Europe in order to advantage its own carriers, he said. One of the biggest issues for ports is the state of infrastructure, said Nagle, whose group represents public port authorities throughout the Americas from Canada to the tip of South America. According to his group, navigation channel maintenance is 100 percent funded through the Harbor Maintenance Tax. “Tax revenues are considered sufficient to fully maintain channel depths and widths, but annual appropriations were about half the annual HMT revenue,” according to the group’s website. While some projects such as Miami’s $1 billion-plus tunnel and dredging have been completed, port authorities say they need $25 billion more in infrastructure investment to meet current and expected demands, far more than is currently earmarked or available, said Nagle. How, asked audience member John Abisch, president of ECU Worldwide USA, is the bankruptcy of Hanjin affecting port operations? “Do you think there will be any material change” at ports? There is and will be an impact, said Nagle, although it will take some time to work through. The bankruptcy reflects long-term uncertainty and concern in the ocean carrier industry. Analysts link the troubles in part to a worldwide economy that has been slow to recover and an oversupply of cargo ships. From the audience, Doral Mayor Luigi Boria asked about congestion on roads. “We have so much traffic,” he said, predicting more as larger “post Panamax” cargo container ships begin discharging cargo in the PortMiami. 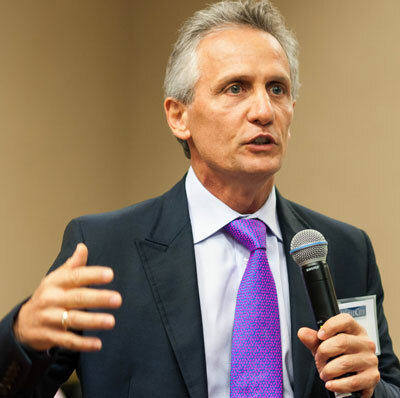 Without investments to reduce traffic, he sees worse snarls in Doral, which is home to many shipping-related businesses. The next Trade Connections event is set for Dec. 9 and will feature the 2017 Import-Export Outlook.